Very Good. From the author of Blue Like Jazz comes a road-trip memoir about three months spent crossing the country in a Volkswagen camping van, wondering out-loud if there is more to life than nine-to-five jobs, than the ruts the entire world seems to be stuck in. Trade paperback (US). Glued binding. 272 p. Contains: Illustrations, black & white. Good. 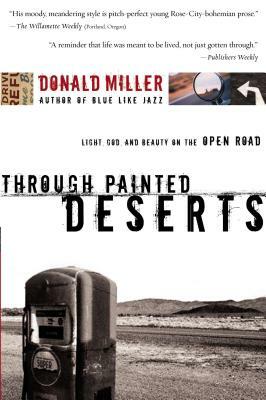 From the author of Blue Like Jazz comes a road-trip memoir about three months spent crossing the country in a Volkswagen camping van, wondering out-loud if there is more to life than nine-to-five jobs, than the ruts the entire world seems to be stuck in. Trade paperback (US). Glued binding. 272 p. Contains: Illustrations, black & white.